This game was a little closer than the final score might indicate (31-12). Green Bay was only up 14-9 at the half. Miami never looking good with Osweiler, but the Packers not looking much better on offense (377 yards of offense but 67 of that on play/untouched run up the middle). To start the game, Miami took the opening drive right down to the red zone…but then a botched shotgun snap turned into a turnover led to a Packers drive for a score/quick 7-0 lead. Miami scratched and clawed for a while before they finally rolled over in the 2nd-half. It wasn’t the Packers offense that beat down the Dolphins…it was the Packers defense that kinda saved the day/dominated the day. Anytime Miami got into scoring position, the Pack defense would halt the drive to a field goal or create a turnover…or sack them out of FG range. The Packers had 6 sacks this game. As I said going into this game and been talking about for a few weeks – Green Bay is developing one of the best defenses in the NFL because D-C Mike Pettine is one of the five best coaches in the NFL, and he should never have not-been an NFL head coach the past few years – he was screwed in Cleveland. He had the Browns in 1st-place midseason a few years ago with Brian Hoyer at QB. When Johnny Manziel was forced upon him against his will…the team collapsed. Part of NFL teams being the worst run business in all American business is…not only do they constantly hire Hue Jackson-types and fail. They all could have noticed the miracle Mike Pettine created with the Browns (of all teams) and hired him in the last few years. Nope. He was a consultant for Seattle the past few seasons…he couldn’t even get a coordinator job. You think anyone will notice the job Pettine has done and hire him as head coach in 2019? Ha! Norv Turner will be a head coach again first. You know, Norv used to coach with Jimmy Johnson a couple of decades ago…so, maybe, that’s rubbed off on him to build Super Bowl teams in 2019? The Packers are turning into Mike McCarthy’s utopia…run game and defense, and no heavy need for stupid Aaron Rodgers ruining his good times grounding and pounding with his dumb/elite passing abilities. I think Green Bay will lose Week 11 TNF at Seattle and then lose at MIN the following week and fall to 4-6-1, needing another ‘win out’ scenario to try to catch a wild card. We are projecting them to finish 8-7-1 and out of the playoffs. Miami is 5-5 and seems dead for the playoffs but note that they face Buffalo twice ahead (Wk 13, 17). If you give them two wins there (and that’s not assured), they would be 7-5 looking for two other wins in their other four remaining games but we don’t see it likely. Possibly they beat Jacksonville Week 16. We project Miami finishes 7-9. -- Aaron Jones (15-145-2, 3-27-0/5) had a big game here, so he is now the best RB in history. People’s derangement with RBs is so typical. If you score a TD or two with 100+ yards in a game, and you’re not an established name (Gurley, Kamara, DJ, etc.) – you are the most coveted asset in all fantasy the next week. *See: Marlon Mack the two weeks prior to a Week 10 letdown. Remember when Alex Collins was the greatest for a week or two last season? Matt Breida, Chris Carson at times this season? I could go on. Jones had a big game against the #32 run defense in the NFL (Miami), and now he’s headed to Canton. He’s a mainstream love so now every article/mention will be about the Packers’ run game and FINALLY going to Aaron Jones. Now, you’ll see McCarthy suckered right into it and he’ll push the run game, and throttle back Rodgers…and Green Bay will not make the playoffs. I’m not an Aaron Jones guy, but he’s going to get a push here. I’m not buying it or selling it…I just wouldn’t play it when they face better run defenses (like MIN Week 13). MVS is looking better. He still feels/looks like just a solid/OK WR who is just lucky enough to play with Aaron Rodgers. Like, for example…if MSV and D.J. Chark switched teams in the NFL Draft – you would never care about MSV…and DJC would be up for Rookie of the Year. MSV is just doing ‘good’ in a great situation. I expect more than 44 yards in a game, but I have to remember Green Bay’s pass game is lowering in volume/output. It’s not the Chiefs-Rams-Saints-Bears-Steelers exciting offense…it’s more the Patriots/2018. I was impressed with how spry, springy MSV is after the catch. He can really move after the grab…I just don’t think he’s going to be a great work horse WR that gets a lot of short/medium work that lets him run after the catch. I still say the WR who looks like the star is ESB. I see Rodgers forcing it to him in spots…trying to get him going, trying to find magic. ESB has all the tools to be a #1 WR…he just needs time to put it together. He was stuck with awful DeShone Kizer in college, so people don’t realize he works like a #1 WR – routes, catch radius, hands, athleticism, superior height…he has it all. There’s not anther St. Brown-a-like in the NFL. I could find a dozen Scantling’s every draft. Jake Kumerow is going to come back and potentially make this all more confusing. I still say 2019 will be Adams-ESB as the Packers #1-2, with ___ as the slot WR (possibly Golden Tate). MSV will be on the outside looking in as will Kumerow. Unless ESB doesn’t develop and MSV wins the spot. -- Kenyan Drake (8-27-0, 2-11-0/2) needs Ryan Tannehill back…to help re-push his Kamara-like work he was developing. Just note, with all the Dolphins receiver injuries, and Miami barely able to field three WRs (they’re signing guys off the streets for Week 12) – watch out for Drake to get back to being a virtual WR next week and having a shock PPR game. -- I had reports that Miami was considering Leonte Carroo (1-14-0, 1-20-0/1) a tight end conversion project. He was just elevated from the practice squad and all I see are ‘WR’ designations. I had a mild interest if he were a TE designation, for fantasy. He played an interesting role here – ran a fake punt for a 1st, caught a nice pass for a 1st, recovered a fumble on special teams. He earned more playing time…for a team desperate for receivers right now. His yards in games have moved from 20-40 to 40-80. He has just 1 TD this season. He’s a name to consider in PPR for a stable 8-10+ points in a week, but not likely for 15+. 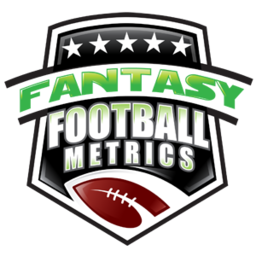 -- I’m not saying Aaron Rodgers (19-28 for 199 yards, 2 TDs/0 INT) is bad or fading…I just think there is an offensive shift happening that’s driving his numbers down (for him). You watch GB…and there is no offensive ‘excitement’ like watching KC or the Rams. Rodgers doesn’t belong in the ‘should I start Rodgers or Mahomes/Goff/Trubisky?’ questioning anymore this season, I think. 58.6% Comp Pct. – very unusual for Rodgers. 1.8 passing TDs per game…nice but many QBs are blowing 2+ TD passes per game/every week, like Rodgers used to. In this era/year of passing numbers, many QBs are having high-end years, while Rodgers is under-performing his past – it’s not him, it’s the offense. 290 yards passing or less in three straight games. Under 300 yards in seven of his 9 games this season. It’s just not a normal ‘great’ Rodgers year. I mention all this, and he’ll go 500+ yards and 5+ TDs against Seattle tonight. But I’m just warning…I’ve seen it before…and we only have a few FF games left…McCarthy is reeling in the passing game to go with the run game. 30-43-28 for pass attempts the past 3 games…under 30 is out of sorts for Rodgers. -- The Green Bay-DST is getting better, as I noted earlier…and spoken of for weeks. The schedule isn’t great but hosting Arizona in cold GB Week 13 and getting the Jets Week 16 in, probably, a must-win for the Pack – you might have some spots for the GB-DST that most are overlooking. Did you know the Packers are now #1 in the NFL in sacks (31)? Tied with KC-PIT-MIN? All cold for GB Weeks 14-16…at GB(ATL), at CHI, at NYJ. Not great for working MSV or ESB, potentially. Good for Aaron Jones…except Week 15 at CHI. If you factor ‘the cold’ then maybe Week 14 hosting ATL is a spot for the GB-DST? I’m not sure what Miami offensive things you use…but Weeks 14-16 are all nice weather conditions. Home-dome/MIN-home those three weeks. However, MIN-JAX Weeks 15-16 are stifling to pass games. Weeks 13 and 17 the Miami-DST gets Buffalo…that’s nice, in theory.